This past Saturday I finally made it to a bead show that I have wanted to check out for a while. The Whole Bead Show comes to New York City twice a year (March & October) and this time around it worked out perfectly since I was going to be in the city for a pottery class on one of the days it was here- more on that later. There were beads everywhere but it was important to walk around and make sure you got the best deal possible. There were quite a few vendors who sold identical things but with varying prices. And while there was a vast assortment of beads, gemstones and precious stones strung I was a little disappointed that there wasn’t more of a selection of seed beads and Swarovski crystals. I had a list of things I wanted to get but unfortunately those items were nowhere to be found. 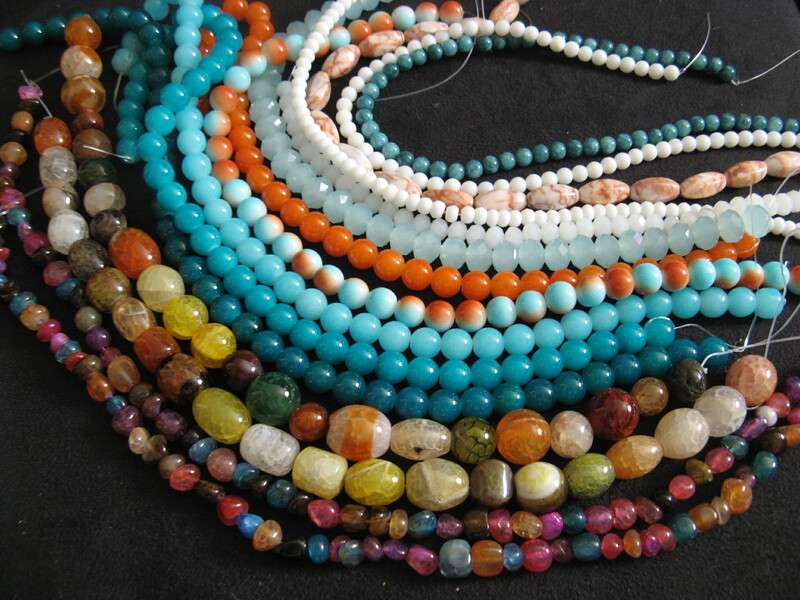 I was able to get a great deal on the beads I did pick up and I can’t wait to craft these into bracelets, necklaces and earrings. 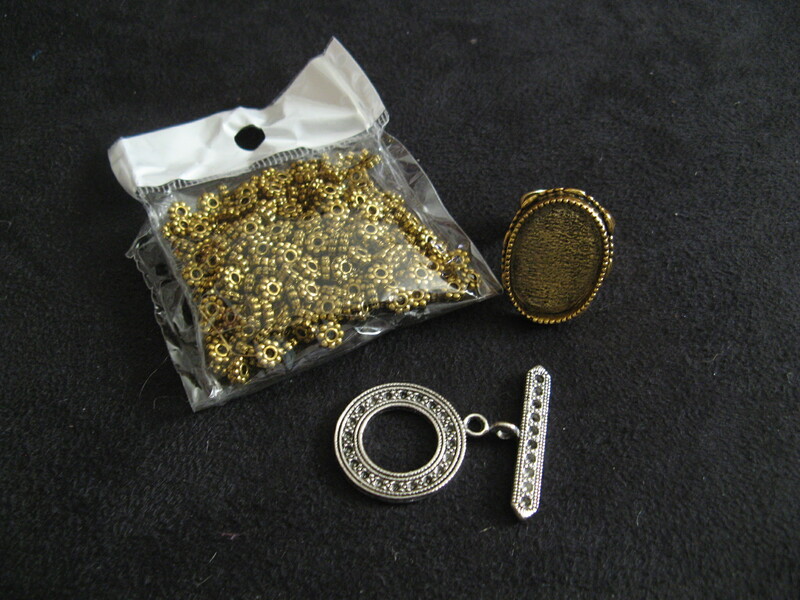 I also picked up a few findings: a toggle, a bag of daisy spacers and a bezel setting ring. After the bead show I went to an Introductory Hand Building workshop at La Mano Pottery thanks to a Groupon deal. My friends and I had a lot of fun molding our slabs of clay into vases. Hopefully my vase will survive the firing and glazing process and then I can pick it up in four weeks. I may be willing to take another class one day, but, I definitely don’t see this becoming a new hobby of mine anytime soon. 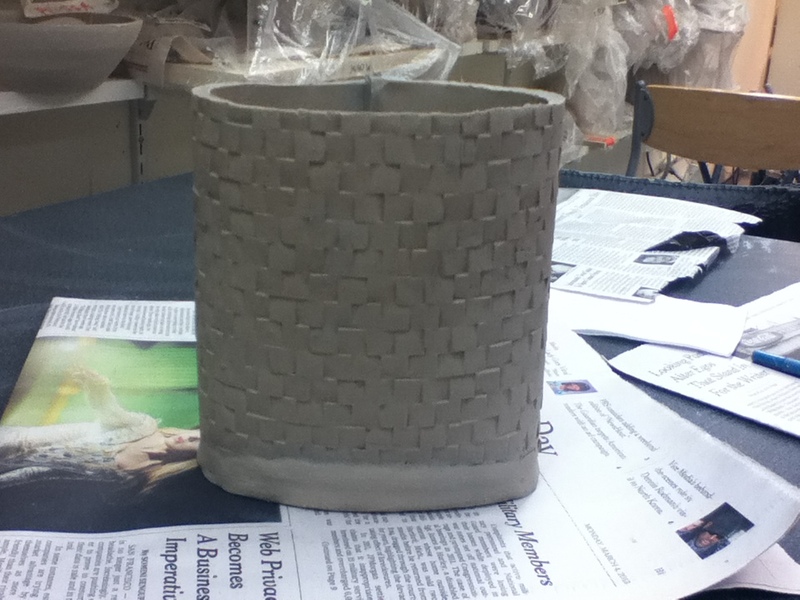 Here’s a picture of my pre-finished vase. FYI, I didn’t sketch the pattern into the clay. The instructor had a bunch of molds, stencils and doilies that we could choose from to imprint the clay. I am so happy for you…I look forward to the crafted bracelets, necklaces and earrings!!! You’re such a multitlented woman….